What Types of Loans Are There? | Del Toro Loan Servicing Inc.
Home > Loan Servicing > What Types of Loans Are There? Loans play an incredibly important role in our modern lives. Whether you want to start a business, buy a new car, or pursue higher education, loans give you the capital you need to attain your goals when you don’t have the immediate funds in your bank account. However, not all loans are created equal, depending on your personal budget and needs. The good news is that you have a wide variety of loans to choose from. Read on to learn more about some of the most common types of loans that are out there and the pros and cons of each. Conventional loans are a type of mortgage available through a bank, credit union, mortgage company, or other private lender instead of a government entity, like the Federal Housing Administration or USDA Rural Housing Service. About two-thirds of homeowner’s loans issued in the country are conventional loans. The process of acquiring a conventional loan hasn’t changed much over the years. Potential borrowers have to fill out an application and supply any documentation necessary for the lender to run a background check, including a proof of income, employment verification, assets (bank statements and investment account statements), and credit score. The goal is to determine if you can actually afford monthly payments, on time and in full, on top of the down payment and other upfront costs (loan origination fees, broker fees, closing costs). The interest rate can vary based on the length of the loan, the amount, and the current economic conditions. Mortgage lenders tend to set their interest rates based on expectations for future inflation. Your financial profile and creditworthiness can also affect interest rates. You can also pay down interest rates through mortgage points, which are percentages of the total loan that you can pay upfront. One point equals 1 percent of the loan amount and can lower your interest rate by 0.25 percent. Ultimately, conventional loan interest rates are higher than FHA loans but much lower than private or hard money loans. Have a low debt-to-income ratio (the ratio of your monthly income and your monthly financial obligations) of about 36 percent. However, if you have more debts than normal or have recently gone through certain financial difficulties, like a foreclosure or bankruptcy, you might have trouble getting approved for a conventional loan. 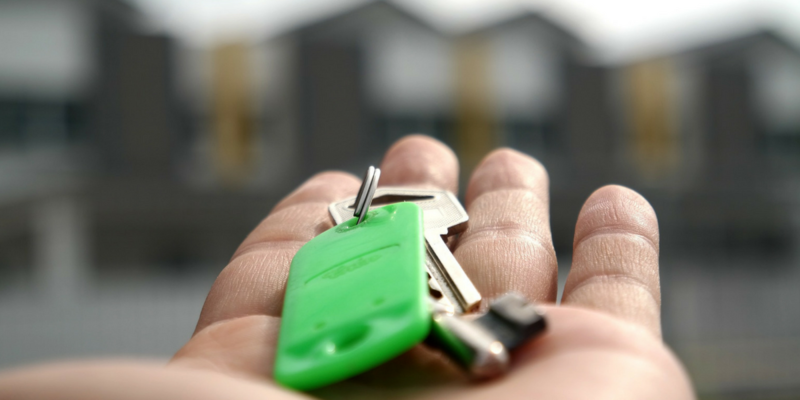 Conventional loans also tend to have a longer application and approval process, so if your property is in a particularly competitive market, you may want to consider other options. Conforming loans and conventional loans are sometimes used interchangeably, but while there is some overlap, the two have their distinct differences. Conforming loans are mortgages with a dollar amount that is equal to or less than the conforming loan amount limit set by the Federal Housing Finance Agency. Conforming loans are eligible for purchase by the Federal National Mortgage Association (FNMA or Fannie Mae) and the Federal Home Loan Mortgage Corporation (FHLMC or Freddie Mac). These organizations are sponsored by the government and are responsible for driving the home loan market, making them a medium between federal organizations and private lending entities. Along with the conforming loan limit set by the FHFA, potential borrowers have to adhere to other requirements with a conforming loan, including loan-to-value ratio, credit score, and documentation. Many of these requirements are similar to those of a conventional loan. The main guideline is the maximum loan amount, which can vary based on the home’s location. FHA loans are mortgages that are issued by a government lender and insured by the Federal Housing Administration. These loans were introduced after the Great Depression as a means of stimulating the housing market while reducing risk and providing peace of mind for mortgage lenders. FHA loans are generally designed for low to medium income borrowers who are unable to make large down payments. The requirements for FHA loans are generally more lax than with conventional loans. FHA lenders will offer loans to potential borrowers with low incomes and credit scores as low as 500. Often borrowers with a credit score of 500 to 579 will have to pay a down payment of 10 percent. Borrowers with even higher credit scores may only need to pay down payments as low as 3.5 percent. Even those who have gone through a foreclosure or bankruptcy or those who don’t have a credit history may still be eligible for an FHA loan. The Federal Housing Administration itself is not the one to provide the borrower with the loan. Instead, the borrower pays monthly or annual mortgage insurance premiums, which ensures the loan, while a traditional lending institution that is FHA-approved provides the actual capital. In the event of a default, the FHA covers the remainder of the payments, minimizing the risk for the lending company. The approval process for an FHA loan involves many of the same requirements as a conventional loan (employment history, income information, credit score), but it mainly relies on mortgage insurance. The borrower will generally need two types of mortgage insurance premiums: an annual MIP and an upfront MIP. The upfront MIP is paid at the time of closing and is usually a percentage of the total loan amount (in 2018, the upfront MIP is 1.75 percent), while the annual MIP is paid every month. The annual MIP amount varies from loan to loan and depends on the loan amount, the length of the loan, and the loan-to-value ratio. It typically costs about 0.85 percent of the loan. The borrower may also be responsible for paying certain out-of-pocket expenses, including attorney fees, origination fees, and appraisal costs. As good as FHA loans may seem, they may not be for you. If your credit score is below 500 or if your bankruptcy occurred less than two years ago, you likely will not be eligible for an FHA loan. Furthermore, if you can afford a large down payment, you are likely still better off with a conventional mortgage, which will usually have lower interest rates and mortgage insurance premium payments, making it cheaper in the long run. Where conventional loans come from banks or financial institutions, private money loans often come from individuals or private organizations. These loans can technically be used for anything, but most are short-term and designed for real estate purchases. Private loans are also much more dependent on a borrower’s relationship with their lender, originating from three relationship circles. Primary circle – This comprises your friends, family, and other immediate people who you know and are familiar with. The primary circle often offers the easiest means of obtaining capital as you already have a trusted relationship with the people within the circle. However, the primary circle also tends to offer the least amount of capital. Secondary circle – Your secondary circle comprises friends of friends or people that members of your primary circle know. While the mutual contact makes it easy to create the initial connection, you will generally have to spend more time networking and preparing investment presentations. Third-party circle – The third-party circle is the most removed from your private network. This circle consists of hard money lenders and private companies. 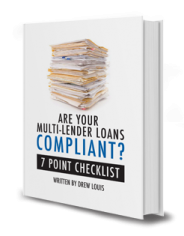 Although this circle requires the most preparation and relationship building, it often offers the most capital, greater reliability, and standardized loan procedures. Unlike conventional loans, private loans are usually less interested in your creditworthiness. Although private money lenders may still ask for and consider your credit score and financial history, most private loans are secured through a note or deed of trust. Private loans also have a much faster application and approval process. However, the costs of private loans can be a big drawback. Interest rates and mortgage points can be much higher than those of conventional loans. Private loans also tend to have shorter payment periods. Where banks allow you to pay off your loans over the course of several years, private lenders expect you to pay within six to twelve months. Granted, you wouldn’t want to pay off your loans for longer with the high interest rates, but that means that you either need to make a quick profit on your property or refinance as soon as possible. Hard money loans are a type of private money loan. Hard money loans are so common that they are often used interchangeably with private money loans, though the two have their differences. Hard money loans are often the last resort loan used for property purchases, and unlike other loans, hard money loans are determined entirely by the value of the property instead of your credit score or general creditworthiness. Hard money loans use the property that you need the loan for as collateral. That means that if you are unable to make payments or otherwise experience problems, the lender will take the property and sell it to get any money back for the loan. This comes with some inherent risks, which is why banks and other traditional lenders don’t offer hard money loans. Hard money loans come with high interest rates, sometimes as high as 15 percent of the total loan amount, along with two to four mortgage points. Hard money loans also come with shorter repayment periods. However, hard money loans can be beneficial, particularly for fix-and-flip investments where a borrower wants to purchase a home, repair it, and put it back on the market with a higher price. The approval process is much faster, allowing a potential borrower to get their money within one week, making it much more suitable for competitive bids. Fix-and-flippers also usually operate on a property within one year, which should make the shorter repayment period a non-issue. Del Toro Loan Services offers the tools, knowledge, and personnel to tailor services to borrowers, lenders, and brokers. To learn more about how we can help you with your loans, please contact us.